The Laura Virginia Hale (LVH) Archives is a treasure trove of local history. Our Reading Room is open to the public and contains family genealogies, reference books on cemeteries, marriages, court records and histories of Warren and surrounding counties. We have copies of the Warren Sentinel, a photography collection, records on Revolutionary Soldiers and genealogies researched by Rebecca Good, a professional genealogist. If you are interested in family or history research please visit the LVH Archives tab above for a more detailed list of our collection. The Laura Virginia Hale Archives is located at the rear of the Belle Boyd Cottage. 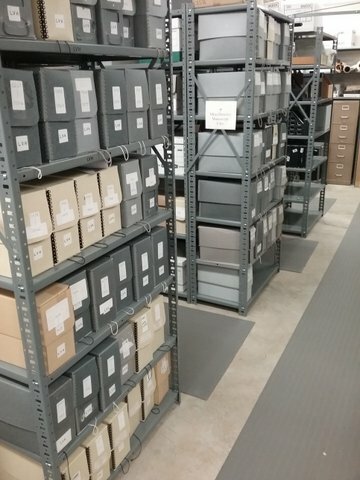 The Archives is staffed daily and is available to assist you in your research. Laura Virginia Hale, a published lifelong historian, gifted her entire collection to WHS upon her death. Her files consist of her original writings and are kept intact, with no additions or subtractions. Thus, they can be considered primary source documents for researchers. Her files cover all aspects of life in Warren County. Government, politics, historic houses and buildings, family histories, industry, infrastructure, schools and colleges, formation of the town of Front Royal and Warren County, Blue Ridge Parkway and Shenandoah National Park. She wrote books and articles on the Revolutionary War and Civil War and collected local history on WWI and WWII soldiers. The Laura Virginia Hale Reading Room is free and open to the public. Hours: Monday-Friday 10:00 am - 4:00pm. Due to the time involved, we must charge both Members and non-members $20.00 per archivist research visit to Warren County Courthouse, plus the Courthouse’s 50 cents per page copy charge. For Warren Heritage Society members: research assistance, including scanning, is free. For non-members: $18.00 per half hour of research assistance, including scanning. Copies made at LVH are 25 cents per page; handling fee is $5.00 plus postage. Clem: Histories of the Families Clem, Lett, Marlow, Moseley, Neitzey, Rudacille, Tracewell, etc. Funkhouser: Early Funkhouser Pioneers and the Descendents of Jacob Funkhouser Jr.
Rebecca Good was a professional genealogist who researched most of the families that settled in Warren County. If you’re looking for your roots, this is a good place to start your research. She also did extensive research on Revolutionary Soldiers in “Old Fredrick”. Jones, Alexander and Jones, Gideon W.
We have early maps of Warren County and the Shenandoah Valley, topographical maps, county maps from 1930s showing roads that have been changed over the years. The 1929 Sanborn Insurance maps are a map of the Town of Front Royal and display all houses and buildings during that time. We also have historical maps of our surrounding counties. The Eugene Scheel Map of Warren County overlays historical places and properties onto a modern map, an invaluable tool for any researcher. Obituaries gathered weekly, as well as culled from the old newspapers and scrapbooks, are constantly added to obituaries collected by genealogists over the years. This file gets heavy use by families searching for kinfolk. We also have copies of area church burial records. Our reading room contains cemetery books for Warren and surrounding counties. Before large cemeteries were organized, the family plot was a common final resting place for ancestors. As properties changed hands, the fate of these grave-sites was left to individual homeowners and many burial records were lost. When property owners alert us that they have found a cemetery on their property, one of our researchers visits and photographs each cemetery as it is discovered. Thus, our collection is continuously growing. Early ledgers from stores, doctors, banks and some school census records are just a few of the items in this collection. These ledgers give insight into how a 19th century business was run and individual accounts also provide information about what your ancestor purchased or what medical care they may have needed. Local papers, dating back to the mid 1800’s, tell the who, what, where of daily life, as well as the gossip of Warren County. We also have historic newspapers covering major national evens such as 9/11, assassination of the Kennedys, the end of WWII and landing on the moon. Many newspapers not in the newspaper collection are available on microfilm. The films also contain Virginia County records on deeds, wills indexes, and court minute books. This collection consists of out-of-print books and fragile texts on a range of subjects. These are only brought out on special request. Books in the collection include such treasures as the 1940 Front Royal phone book by Virginia Telephone & Telegraph Company, History of the Lower Shenandoah Valley from 1890, and The Fairfax Proprietary: The Northern Neck, the Fairfax Manors, and Beginnings of Warren County in Virginia, a definitive record. 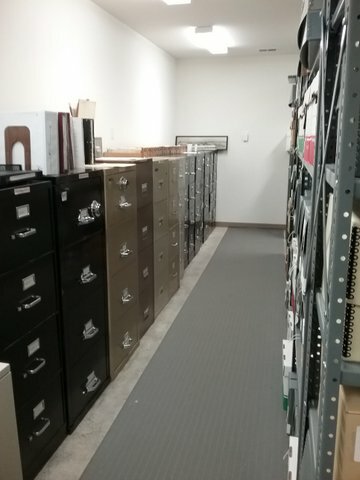 This is an extensive collection of documents donated to LVH Archives over the years. The documents are diverse in subject. One box might contain an original phlegm deed signed by Lord Fairfax; another, research performed by the WPA on historic houses and buildings in Warren County. We have the ledgers from the Riverton Lime and Stone Company founded in 1866 and records from AVTEX. Different service organizations have donated their records over the years: the town and county garden clubs, the Daughters of the American Revolution, the Eldridge Research Collection. 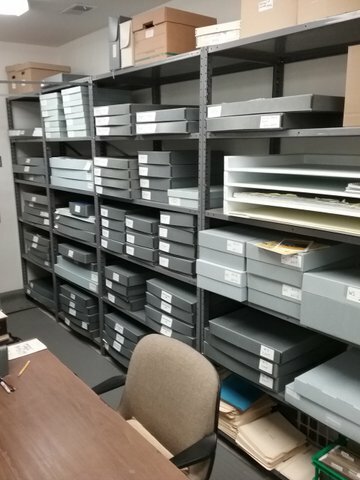 We have boxes containing the history of Army Remount Station, the Civilian Conservation Corps (CCC), and the establishment of the Shenandoah National Park. The Belle Boyd Cottage is furnished in authentic period furnishings. The Balthis House has a mixture of period furnishings. We welcome donations of artifacts. Please call Archivist Deborah Corey if you are considering a donation of an artifact.